This title was first published in 2001. Discussing the implications for the world of embracing - or failing to embrace - international environmental equity, as a core global objective is an essential exercise, which this book undertakes with diligence and vigour. 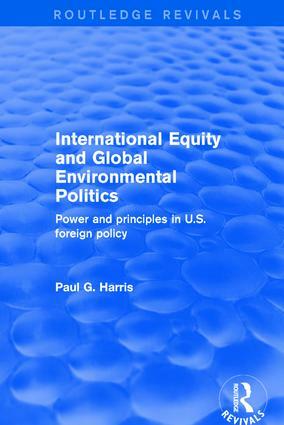 Written in an accessible style, this is essential reading for students of international relations and world politics, global environmental policy and environmental policy and American foreign policy.